WestBridge Capital is making another multi-bagger exit from AppLabs Technologies Pvt Ltd, a privately held software services firm focused on testing space. The exit comes as NYSE-listed Computer Sciences Corporation (CSC) is acquiring 100 per cent stake in AppLabs. Although CSC has not disclosed the financial details, it is buying the stake held by the founder Sashi Reddi and also by WestBridge Capital for Rs 1,000 crore-Rs 1,200 crore, according to market sources. WestBridge, which had invested $20 million in AppLabs across three rounds, is expected to get an exit multiple of over 5x from the deal. CSC, an information technology (IT) and business services company, has approximately 92,000 employees across the world with a large presence in India. The company has revenues of over $16 billion. WestBridge MD Sandeep Singhal confirmed that it had exited AppLabs, but declined to comment on the financial details. WestBridge Capital, through WestBridge Ventures I and WestBridge Ventures II, had invested around $20 million in AppLabs across three rounds in 2004, 2006 and 2008. The venture fund, which has around 50 per cent stake, is set to get Rs 500 crore-Rs 600 crore from the current transaction. The deal would give WestBridge a fairly healthy IRR as its last round came only three years ago, said one person familiar with the development. The company currently has a run rate of $110-$120 million, as compared to $7 million in revenues when WestBridge backed the 10-year-old company in its first round of funding in 2004. "This has been a seven-year-old investment in which we have been very involved. AppLabs, which has a pure focus in software testing, has grown to become arguably the world's largest independent firm in the space, which makes it such an attractive target for potential buyers," said Sandeep Singhal, co-founder & MD of WestBridge. However, he declined to comment on valuations or returns. 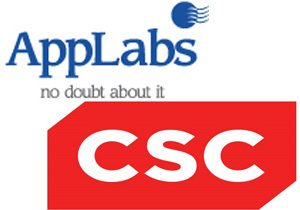 Reports suggest that other players, such as the French IT services major Capgemini, were also in contention for AppLabs. According to its website, AppLabs has 2,500 test professionals, with a focus on verticals like financial services, insurance, technology, healthcare and life sciences, retail and travel. Its offshore delivery centre is in Hyderabad while the sales & delivery offices are located in London, Philadelphia (Pennsylvania) and Lindon (Utah). Its key clients include American Airlines, Experian, JP Morgan, VocaLink and National Australia Bank, among others. "Most companies in the space got acquired early in their life and did not get to the scale of AppLabs. We also got some offers but both the founder and WestBridge were keen on taking the company to its full potential," added Singhal, who sits on the board of AppLabs. AppLabs has also followed an inorganic growth strategy with several acquisitions under its belt. Last year, the company acquired Hyderabad-based ValueMinds, a developer of automated testing tools. In 2005, it had acquired KeyLabs, a software and hardware testing firm, followed by the $37 million purchase of the UK-based testing consultancy firm IS Integration in 2006. Serial entrepreneur Sashi Reddi has also founded the game development company FX Labs, which develops game products in India for PC's and videogame consoles. Prior to AppLabs, Reddi started two other companies in 2001. Of these, EZPower Systems, a product developer for large Web applications, was acquired by DocuCorp and eventually by Oracle. However, iCoop, a group-purchasing e-commerce business, went bust. Another player in the software testing space includes RelQ Software Pvt Ltd, an ICICI Venture-backed company acquired by the software giant Electronic Data Systems (EDS) in 2007. Analyst group Nelson Hall, which pegged AppLabs as the largest software testing company last year, forecasts that the global testing market will be valued at $38 billion by 2012. According to research firm IDC, the independent testing and validation services market is growing faster than the IT services market and the forecast is for strong growth of 21 per cent compound annual growth rate (CAGR) through 2013. There may be more exits from the first two funds of WestBridge Capital as those investments mature. "There are still several businesses growing at 40-100 per cent a year and will have interesting outcomes over the coming years," said Singhal. Some of WestBridge's exciting portfolio companies include Indecomm Global Services, Dr Lal PathLabs (where it part-exited last year), Shaadi.com, Nazara Technologies, Comviva (Bharti Telesoft), Carzonrent and GlobalLogic Inc. The four managing directors of Sequoia Capital India â€“ Sumir Chadha, KP Balaraj, Sandeep Singhal and SK Jain â€“ left the firm to float a public markets and late-stage, private company-focused fund under the banner of WestBridge Capital Partners, an entity they were originally part of. US-based Sequoia Capital had acquired WestBridge to enter India in 2006. Last month, the WestBridge team raised $500 million WestBridge Crossover Fund in one of the fastest fundraising operation in the Indian private equity industry. Before coming under the Sequoia umbrella, the team had also raised two other funds â€“ $140 million WestBridge Ventures I and $200 million WestBridge Ventures II.